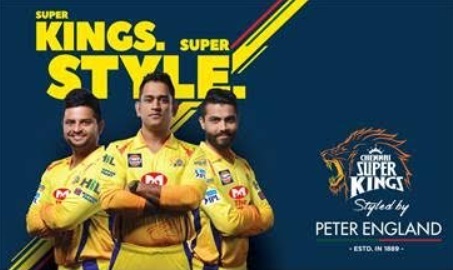 Peter England, the leading menswear brand from Aditya Birla Fashion and Retail Limited once again announces its partnership with Chennai Super Kings (CSK), the two-time champions of the prestigious Indian Premier League Trophy (IPL). As the team’s official style partner, Peter England will style the CSK players and will also be the official cheerleading partner of ‘Whistle Podu Machans’, giving the cheerleaders an exciting new avatar this year. The partnership will also bring to stores, interesting co-branded CSK merchandise for fans who wish to take home a piece of memorabilia of their favourite team. The merchandise will include t-shirts and accessories and will be available at select Peter England exclusive stores.